The Stallions Squirt 2008 and 2009 teams competed in the Jr. Predators Showdown in Nashville this past weekend. Squirt 2009 took the championship in the 2009 division, defeating the fierce Columbus Capitals 4-1, avenging an earlier loss to them in the tournament. Squirt 2009 also played the Nashville Jr. Predators and the Carolina Jr. Hurricanes during the tournament. Squirt 2008 finished in 2nd place, falling in a close game to the Darien Hawks in the 2008 division championship game. Squirt 2008 also faced the Nashville Jr. 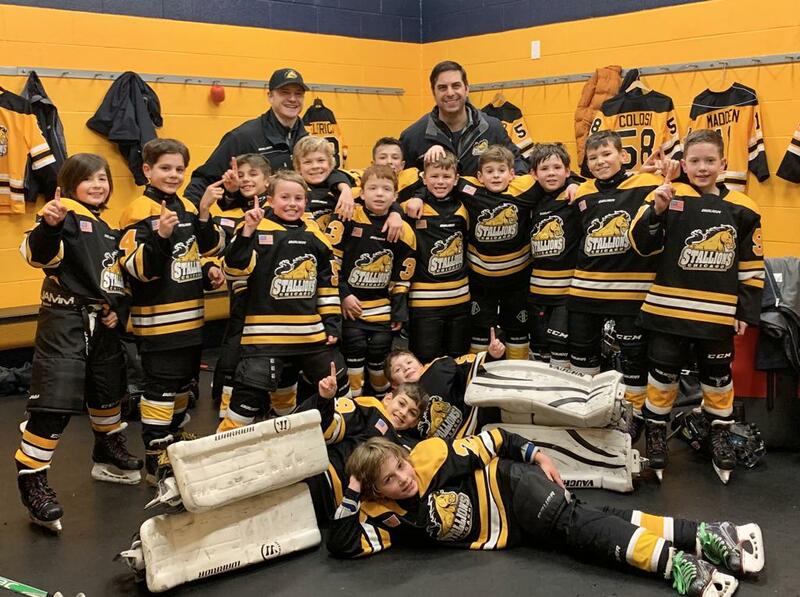 Predators and the Columbus Capitals over the weekend. Special thanks to the Jr. Predators for hosting a great tournament weekend! Squirt 2009 is all smiles about their victory!